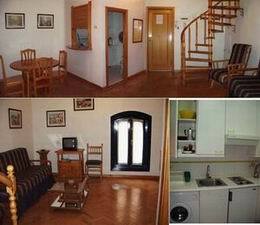 The Duplex apartment is a fully-furnished, modern, 1-bedroom flat consisting of 2 levels or floors. On the first floor there is a kitchen and lounge-dining area. The lounge contains a pull-out sofa which converts into 2 single beds for 2 people, allowing a total of up to 4 persons to stay here. A wooden spiral staircase leads up to the second floor consisting of attic bedroom with 2 single beds, marble-floored bathroom and storage cupboards. 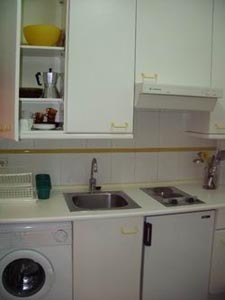 The apartment is situated right in the centre of Madrid, between Gran Vía and Puerta del Sol. 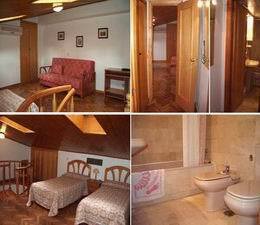 It is close to major attractions such as the Plaza Mayor (10 minutes walk), the Royal Palace (15 minutes), the Prado Museum (15 minutes), and the Retiro Park (20 minutes). There are 2 nearby Metro stations: Gran Vía and Sol. 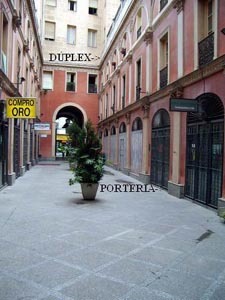 There is a public car park nearby, in Plaza del Carmen. For information on transport from the airport, see our Madrid airport transport page.